Swords of the Forge carries a variety of Medieval swords to choose from. Medieval swords in general date back to 500 AD through 1500 AD. Also known as arming swords (which tended to be shorter in length) or battle swords (which were longer), medieval swords come in a wide variety of styles with respect to the pommel, blade, and forging patterns. Some pommels may be larger (such as that of the two-handed sword), shorter (as with the one-handed sword), and decorative (your traditional medieval sword). Other styles of swords that fall into this genre include: Arabian swords, cutlasses (or short swords), and scabbards (such as those identified with the musketeers). Our medieval sword section also includes practice or display swords made of wood and/or latex. Should you require accessories we also carry maintenance kits, oils, and cases (both in a large/small variety). Should you have any questions about our products, please give us a call at 800-518-2171. Swords of the Forge is the best online store for all of your Medieval swords needs. We carry a wide selection of high quality swords and weapons that were created with great precision and in great detail to replicate the originals from that period. Swords are our passion, therefore we believe in carrying all the best that we can find, that meet our very high standards. Our inventory is large, and is getting bigger every day. 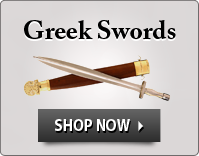 We carry all types of swords: from battle ready swords to decorative and practice, bargain swords. We offer a comprehensive inventory of swords for those seeking fantasy, historical, and movie swords. We have have Japanese swords. From one-handed to two-handed swords, from plain to very decorative pommels on our swords and sabers, Swords of the Forge has one of the largest arrays of swords available online. In the Medieval category (for weapons that replicate those from the time period 500 AD to 1200 AD approximately), we offer not only swords, but armor and shields. Armor is predominantly wearable leather. In the Historical category (which spans several periods), we offer Roman swords, Viking swords, Greek swords and Civil War swords. Calvary swords are very popular for their historical significance in U.S. history. In the Official Movie category, we offer a range of weapon replicas from the following movies which are highly sought after: 300, Conan the Barbarian, Prince of Persia � just to name a few. While we are known for swords, Swords of the Forge also has the best assortment of armor, shield and helmets online. Our online store features suits of armor, Greek armor, complete armor suits, breastplates, chainmail, greaves and leg armor, braces and arm armor, roman armor, Medieval gauntlets and even children armor. Our shield inventory is also very extensive which includes: Greek shields, Roman shields, Medieval shields, Viking shields, LARP shields and SCA battle shields. If you are looking for Medieval or other types of historical helmets, look no further. We carry one of the largest selections of helmets online with helmet shapes ranging to bullet to dated cylindrical and even fantasy. Our categories include Roman helmets, German Sallet helmets, English Kettle helmets, Norman helmets, Spanish helmets, Samurai helmets and the ever popular Gladiator helmets. 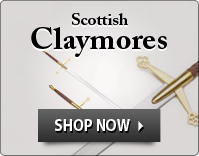 Swords of the Forge is committed to offering high quality Medieval swords. Most are handmade and forged by way of traditional techniques or by modern methods to replicate the traditional result. All of our craftsmen are highly skilled and all of our products are carefully inspected for quality assurance. We are so confident that you will be happy with our product that we offer a 100% satisfaction guarantee if you are not completed satisfied. Beware of cheap imitation swords by other online retailers. We have several locations across the United States which makes shipment quick and easy. Not only do we guarantee the quality of all our products, but we look forward to serving you for all of your Medieval sword and accessory needs. If you don�t see something you are looking for, kindly give us a call at 800-518-2171. We are always willing to go out of our way to help you find the sword/weapon you are looking for. Please be sure to sign up for our mailing list to stay on top of our newest products and best deals.